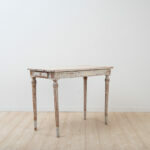 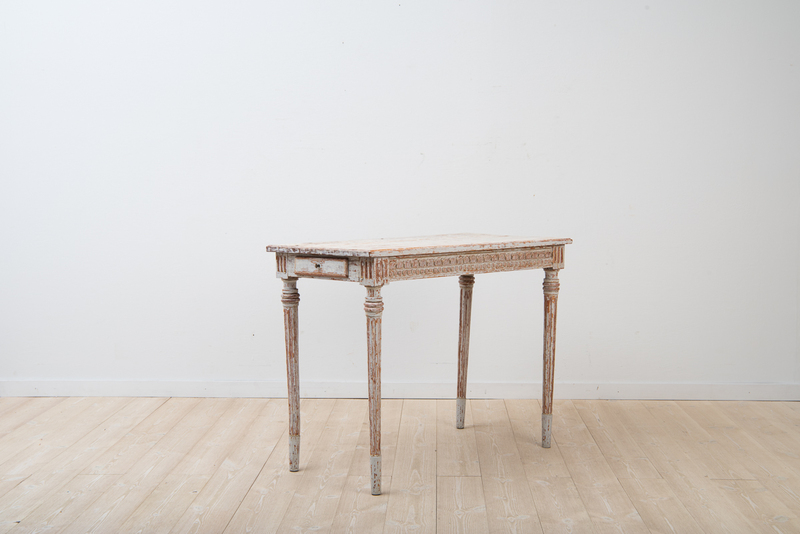 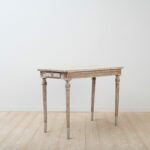 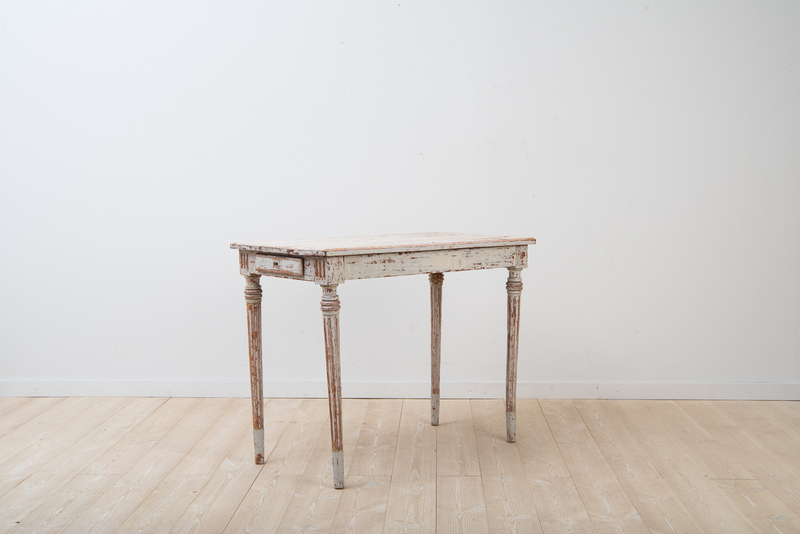 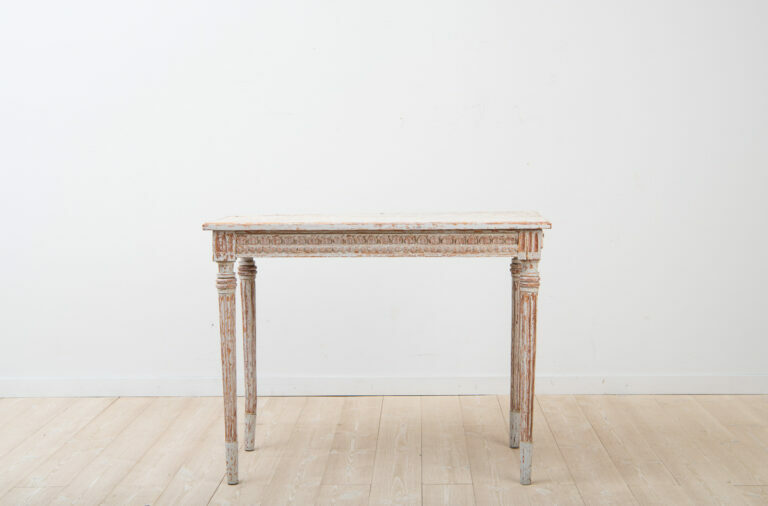 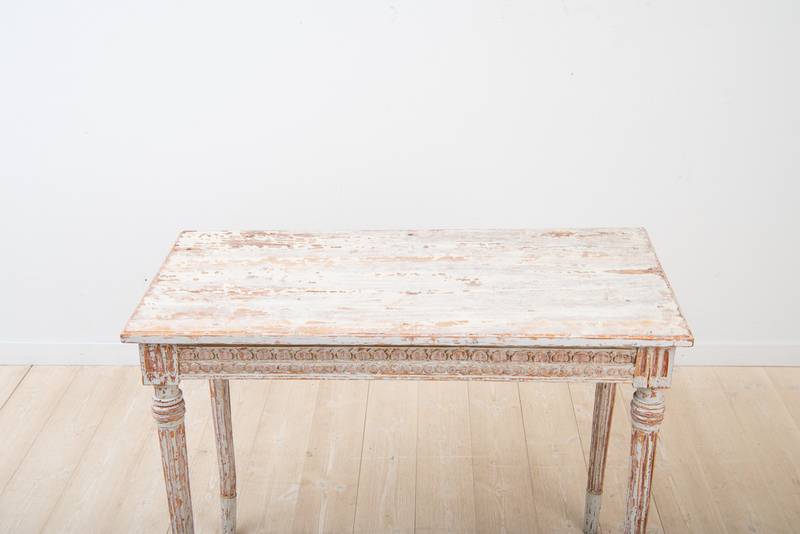 Provincial gustavian console table. 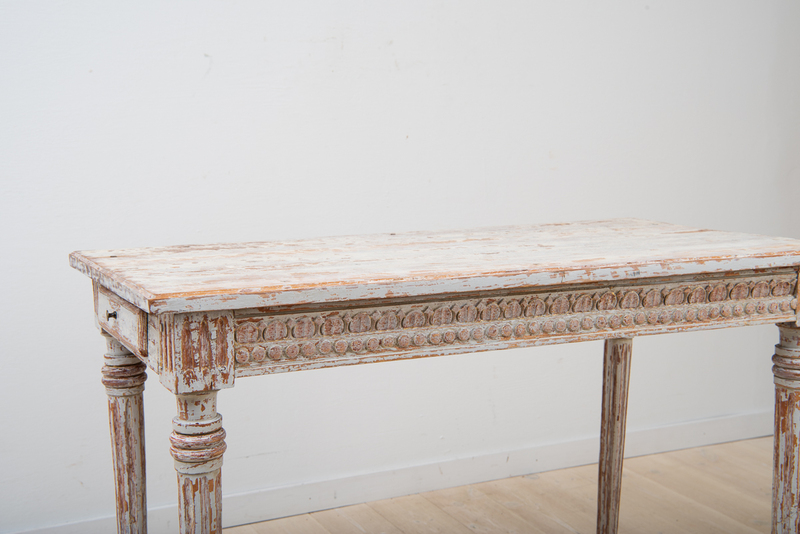 Carved wooden decor and drawers on the short sides. 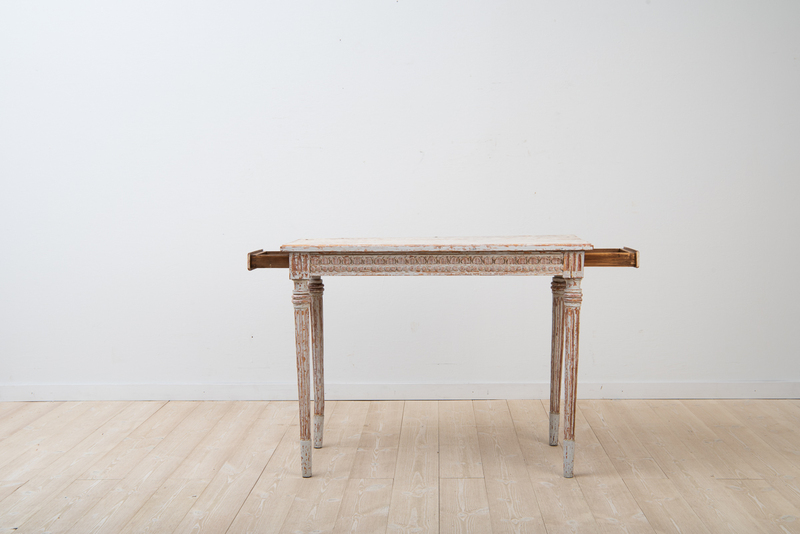 Manufactured during the 1790s.